A frequent inquiry about Project Imagine is in regard to its objective. “What is the desired outcome?” we are asked. Simply said, we are seeking to recommend new systems of collaboration and cooperation among our wide-ranging group of ministries. We want to see the Church of God function as a movement. In its earliest days, the movement was propelled by common language, with a common sense of purpose, and with a common understanding of history. A common purpose was proclaimed from our pulpits. It was time to “thresh Babylon,” separating the wheat from the chaff and to call believers everywhere to forsake denominational labels, and embrace the oneness of a unified church, prepared for the imminent return of Christ. Common language was found in the singing of reformation songs from our hymnals and the reading of publications like The Gospel Trumpet, which later became Vital Christianity. A common sense of history included a belief in God’s calling the movement into being in order to purify the bride of Christ (the Church) and to make her ready for the return of the bridegroom (Jesus). In 2018 none of those above-mentioned factors seem to be widely present among Church of God congregations. Yes, there are pockets of people who claim and proclaim some vestige of these commonalities, but they are only isolated pockets. While it’s popular to blame “Anderson” for the loss of these traditions, the truth is, the responsibility belongs to everyone who provides leadership to congregational life across the movement. Remember, our congregations are autonomous, without anyone from outside directing the teaching, preaching, or worship practices of a local church. Little by little, the congregations of the Church of God have retired the hymnals and expanded the proclamation from the pulpit beyond a few well-worn themes from our pioneers. Common language and purpose are not so common anymore. Does this mean that it’s hopeless to regain a sense of identity as a movement? Certainly not. Within the past few years there has been some rekindling of common language and common purpose. In my extensive travel among our churches, I’ve been amazed by the prevalence of the words “Jesus is the subject.” This has become the theme of countless gatherings, camp meetings, and assemblies. This phrase was recently the theme of an issue of Truth Matters, an important publication in the Church of God. I’ve seen the phrase displayed in the sanctuaries of many churches. I’ve seen it engraved on plaques in pastors’ studies. A recent survey among Church of God leaders revealed that this phrase has been a galvanizing force for common language in our movement. I’ve been re-reading a book from my library titled Tattered Trust: Is There Hope for Your Denomination? by Lyle Schaller. I’ve been in many settings recently where the issue of trust has been discussed. I continue to ponder whether our group, or any group can experience a sense of trust in leadership, especially within the context of the American culture where the distrust of leaders seems to be prevalent in every realm. One of the great essays on leadership uses the metaphor of the wagon master who led the wagon trains across the great plains and mountains to the Pacific Coast in the latter part of the nineteenth century. The author, J.S. Ninomiya, declares the wagon master had two crucial responsibilities. The first was to get up in the morning, point to the west, and declare, “Folks, that’s the direction we’re going today.” The second was to maintain a reasonable level of peace, harmony, cooperation, and teamwork among the members of the wagon train and to keep petty grievances from becoming disruptive diversions. In the Church of God, we generally look with disdain upon the idea of accepting anyone serving in the role of “wagon master,” declaring that role to be reserved for the Holy Spirit alone. 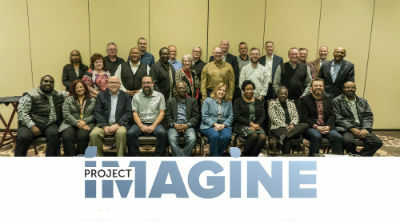 It remains to be seen whether the Project Imagine roundtable will recommend that any person or group of persons will be given the responsibility of “pointing west” for the Church of God. One thing is certain: unless we regain a common language and a common sense of purpose, we will remain a movement in name only. I Saw the Church: The Life of the Church of God Told Theologically, by Merle Strege, Warner Press. 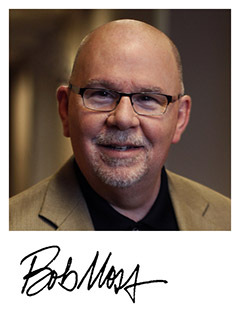 Learn more about Project Imagine—and stay up-to-date with the latest developments—by following Bob’s blog, The Window, at www.jesusisthesubject.org/the-window. This entry was posted in All Church of God and tagged Blog, Bob Moss, Church of God Movement, discussion, functional unity, Jesus Is the Subject, movement, possibilities, Project Imagine, The Window. Bookmark the permalink.